As the US wine industry grows, more and more people are looking to book wine-country getaways in California and the Pacific Northwest, as well as burgeoning wine destinations like Virginia and Texas. 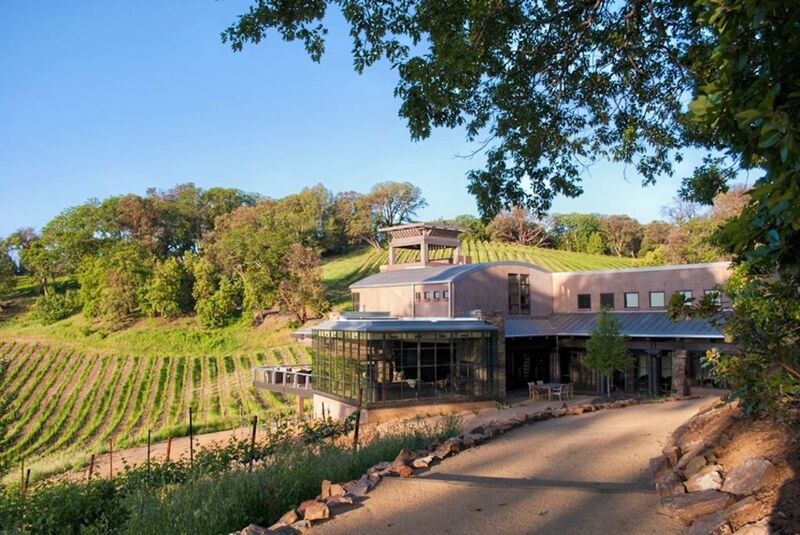 Rather than staying at some boring hotel in town, or stressing over transportation issues between wineries and your accommodation, get the complete wine-country experience by staying right at the vineyards themselves. 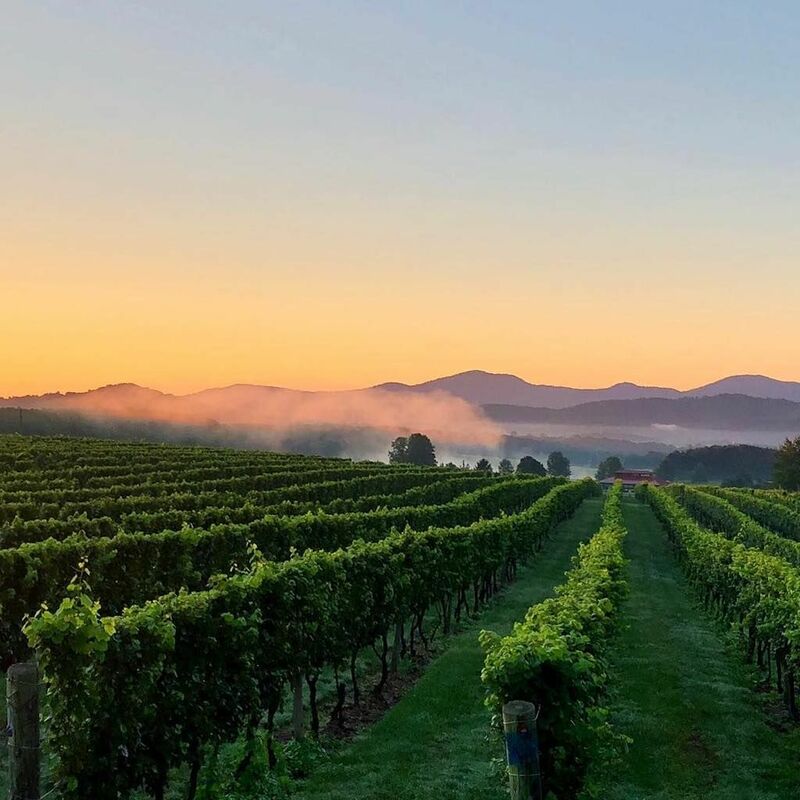 Immerse yourself in green acres of vinifera at these eight beautiful vineyards in the US where you can stay the night. 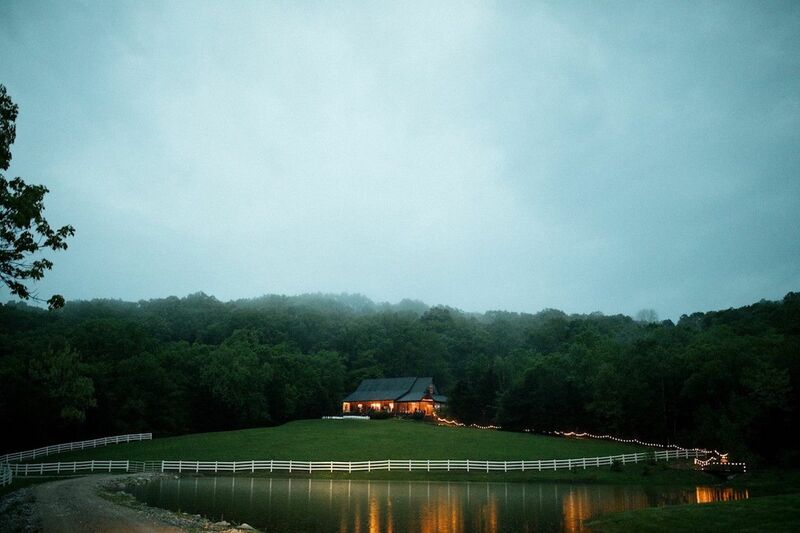 Wineries with lodging are hard to find in Missouri, so these folks went all out and built their own. Seventy miles south of St. Louis, the Villas at Chaumette are surrounded by 310 acres of land, 30 acres of which are vineyards. In addition to tasteful construction, Egyptian cotton linens, oversized marble and glass showers, and covered porches, amenities here abound. Guests have full access to a fitness center, hiking trails, a swimming pool with private cabanas, and a restaurant. Larger parties can rent the Haney Hill House, a secluded five-bedroom house within walking distance of the winery. If you really love spending time in the vineyards, you can even purchase one of the villas. Each is independently owned, so if you’ve got the resources, you could get yourself a permanent spot in wine heaven. Sitting atop the highest elevation vineyard in Sonoma County, this beautiful three-bedroom, 4,000-square-foot home has expansive views that stretch 30 miles over Dry Creek Valley, Alexander Valley, and Mount St. Helena. 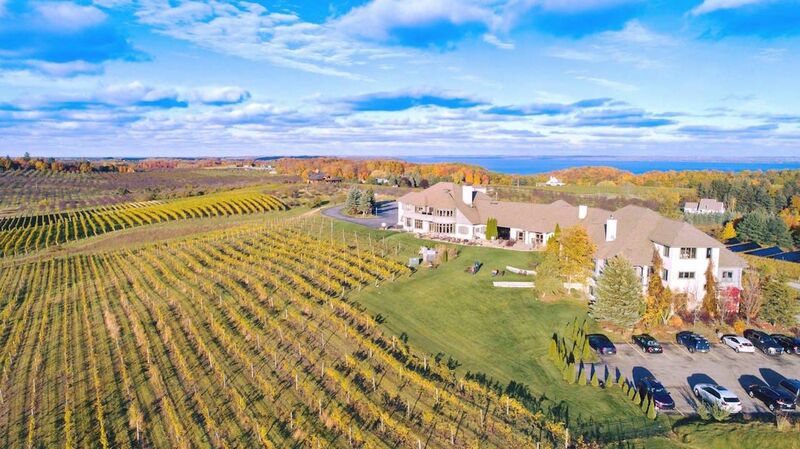 The home is surrounded by 20 acres of vineyard blocks, a pool, spa, gardens, and picnic areas. Guests are encouraged to cook in the home’s well-appointed chef’s kitchen and can schedule tastings at the tasting room next door. A major plus: If you run out of wine, the home has an honor bar packed with Gustafson Family Vineyard wines. 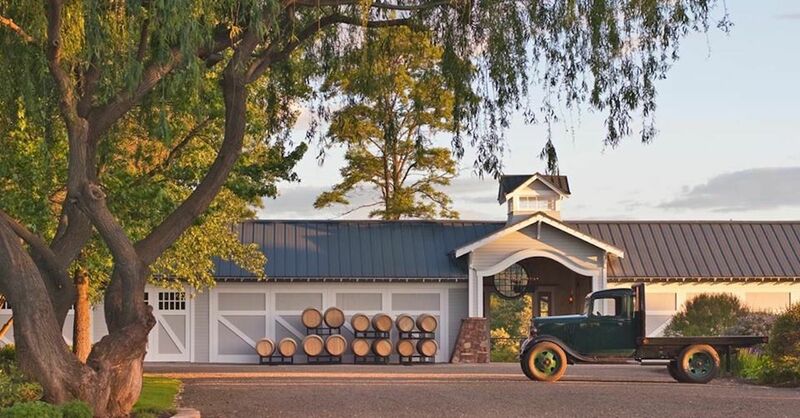 The landmark grey and white barn of this turn-of-the-century farmhouse’s winery operation is one of Washington state’s most respected wineries. The farm’s other outbuildings have been converted into The Inn at Abeja, offering luxurious lodging for those looking to retreat into the green of Walla Walla’s famous vines. The 10 outbuilding suites include a converted chicken coop — you’d never guess that’s what it once was — and larger parties can rent the five-bedroom main farmhouse. Guests of the Inn have access to 38 lush acres of gardens and vineyards planted with Syrah, Merlot, Chardonnay, and Viognier. Gourmet breakfast can be enjoyed with other guests or packed up, so you can greet the day picnicking amongst the vines. Another treat is access to Abeja’s tasting room, where guests can reserve a private tasting of wines normally reserved only for wine club members. Oregon wine country is perhaps one of the easiest spots to stay amongst the vines, with plenty of full-service B&Bs, quirky cottages, and refurbished farmhouses. One memorable option is Beacon Hill Winery’s Beacon cabin, a two-story “cabin” reminiscent of an iconic Pacific Northwest fire lookout cabin mixed with a coastal cottage. 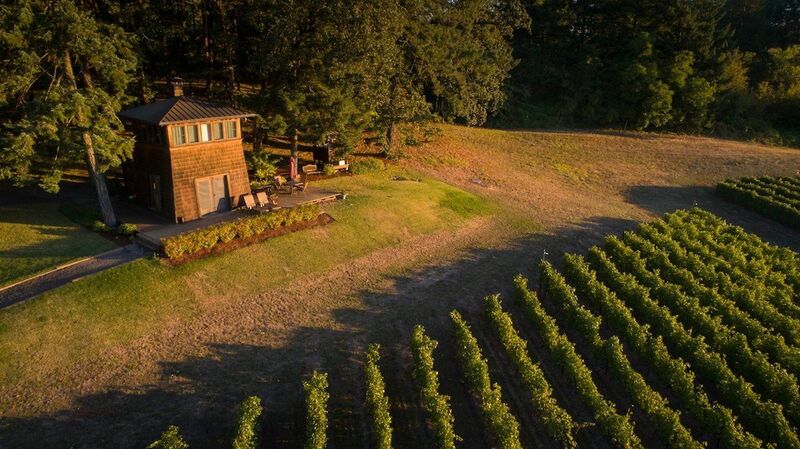 The Beacon cabin overlooks the Willamette Valley and sits atop more than 40 acres of 20-year-old Pinot Noir vines. Guests can enjoy a coffee overlooking the vines before heading to one of the many other wineries within just a few miles. If you’ve got a larger party to house, Beacon Hill Winery also has a Pacific Northwest-style farmhouse that sleeps six. A two-bedroom guest house and four one-bedroom cottages overlook the vineyards of award-winning winery Afton Mountain Vineyards. And when we say “overlook,” we mean you can see vineyards from just about every window — even from the bathroom. One of Virginia‘s first farm wineries, the original vines here were planted in 1978 and are still in production today. Eleven varietals are represented by the 26-acre vineyard, so for those who love wandering among the vines, you’ll have plenty to see. The tasting room is open year-round and guests are welcome to cook up a picnic to enjoy on the lawn or even just crack open a bottle and revel in the shadowy beauty of the ever-changing Blue Ridge Mountains. 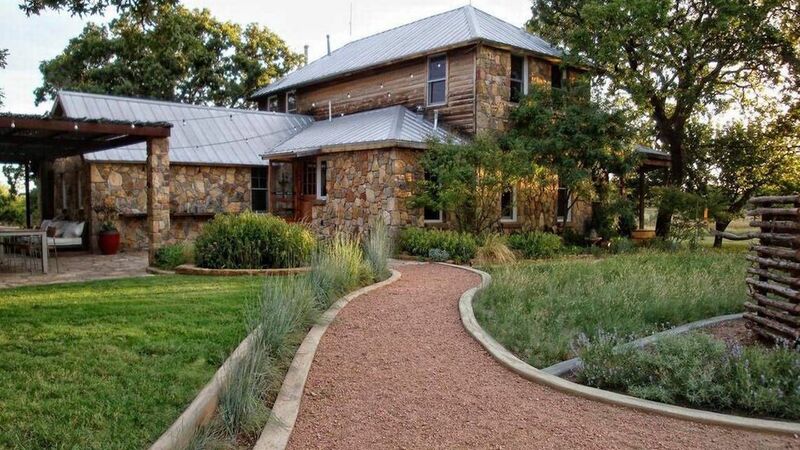 Located in the rolling hills of west Texas, Rancho Loma is a dream escape for those who revel in the aesthetics of style, wine, wilderness, and fine dining. Rancho Loma’s five-room modern inn and restaurant are set amid the estate vineyards of RLV winery and 300 acres of wild West Texas land. Guests are welcome to wander the grounds — meandering through vines of Grenache, Syrah, and Mourvedre — to make their way to the pool or on-site restaurant where co-owner Laurie Williamson composes meals of legend. Just seven miles away, in the town of Coleman, RLV’s tasting room and production facilities are featured in a renovated 1920’s Ford automobile showroom. Across the street, RANCHO pizzeria serves up wood-fired pizza and what Austin Monthly calls the “best burrata” in the state. The great thing about the Finger Lakes region of New York is the variety of things to do beyond just wineries, and these villas are right in the thick of it. The line of six two-story, A-frame cabins sits amid a vineyard of Concorde grapes and looks out over the vineyards of neighboring wineries, as well as the sparkling waters of Seneca Lake. 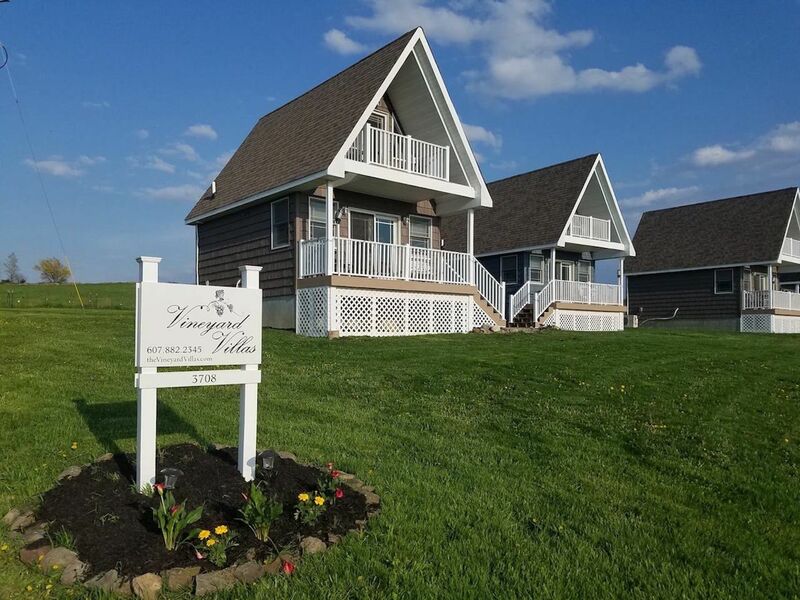 Not only are these villas within spitting distance of wineries, breweries, distilleries, and fromageries, they’re also just a short jaunt from Finger Lakes National Forest. You can spend the day collecting wine, artisanal cheese, and farm-fresh goodies, then come back to your cabin to cook it all up and enjoy al fresco. For those who need a break from all the rich food and wine, it’s a short drive from the cabins to Watkins Glen State Park, which is famous for its waterfalls, as well as the majestic 215-foot Taughannock Falls at Taughannock Falls State Park. This labor of love sprung from the passions of a former priest and nun who shared a dream of building a European-style chateau winery. The 11 guest rooms and suites — inspired by classic artists such as Van Gogh, Degas, and Renoir — are decorated in an opulent, old world-style. All of the rooms have outdoor seating, so guests can drink in the views of the 65-acre estate, vineyard, and Grand Traverse Bay. Guests can walk through the vineyards filled with Riesling, Chardonnay, Pinot Grigio, Pinot Noir, Merlot, Cab Franc, and more before retiring to their comfy bed or whirlpool tub. The property also features trails to the beach and is well-situated for exploring neighboring restaurants, wineries, and farms.